Welcome to the Ken Sei Kai Academy of Martial Arts of Shorinjiryu Kenkokan Karatedo, a member of The International Budo Institute and the Shorinjiryu Shinzen Kyokai. 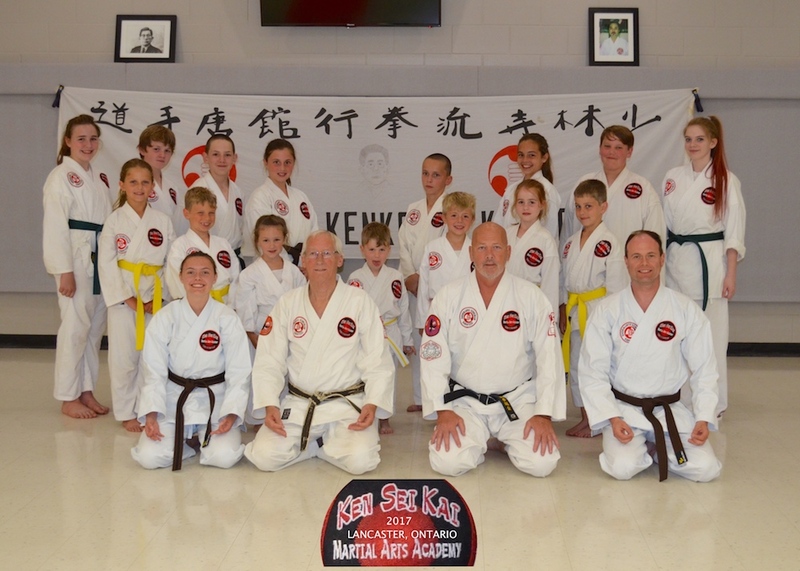 The Ken Sei Kai Dojo, a Group B Not For Profit Organization, is located in Williamstown, Ontario Canada. 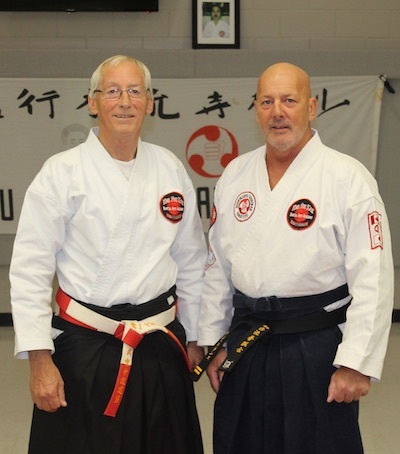 Shihan Tom Bellazzi 7th Dan is the Founder and Chief Instructor of the Ken Sei Kai Dojo. Sensei Dan Desjardins 2nd Dan is the Senior Instructor. 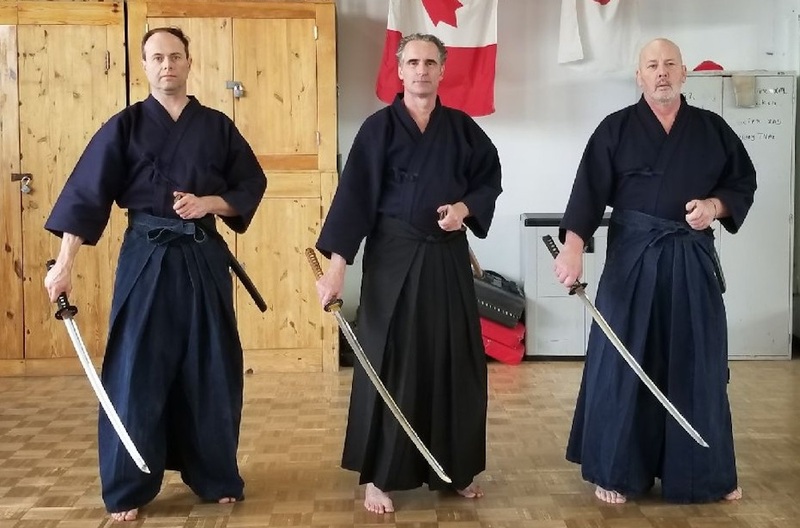 Sempai Jim Andrews (L), Shihan Henderson (C) and Sensei Dan Desjardins (R) practice Dai Kuu Ryu Kenjutsu together.